I have five copies of Sergei Lukyanenko's The New Watch up for grabs, courtesy of the cool folks at William Heinemann! For more info about this title: Europe. At Moscow airport Senior Light Other Anton Gorodetsky overhears a child screaming about a plane crash. He discovers that the child is a prophet – a supernatural being whose predictions come true if they are heard by humans. When the catastrophe is averted, Gorodetsky senses a disruption in the natural order, one that is confirmed by the arrival of a dark and terrifying predator. 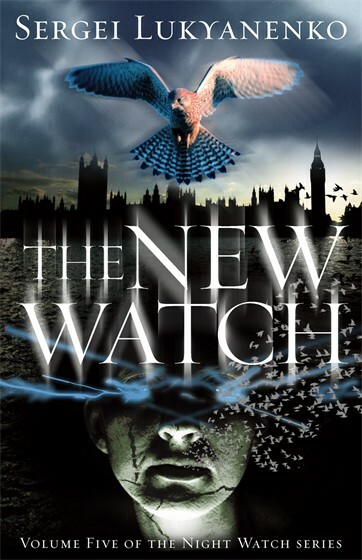 From the Night Watch headquarters Gorodetsky travels to London, to China and across Russia in search of clues, unearthing as he goes a series of increasingly cataclysmic prophecies. He soon realises that what is at stake is the Twilight itself – and that he alone has the power to save it. The rules are the same as usual. You need to send an email at reviews@(no-spam)gryphonwood.net with the header "WATCH." Remember to remove the "no spam" thingy. Any ideas how to get this in the US? Wikipedia has the book listed but no US release date as of yet. Sometime in 2013 is all that is known. I commend this series to your attention!!! Iain Banks dying of cancer. . .